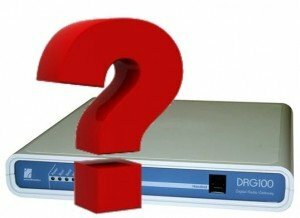 As digital radios already operate over IP and gateways have historically been used to connect analog radios over IP networks, a question regularly arises about why you would need a gateway for digital radios. Below we discuss the 7 Key Ways in which RoIP Gateways add Value to Digital Radio Networks. For example the P25 DFSI protocol is NOT designed to be used by more than one console at a time. Without a Gateway (or a central server, like the DX-Altus server), only one console would be able to connect to a P25 DFSI base station. A Gateway allows a single radio connection to be fanned out to multiple consoles. Only ONE Vocoder is Required (and located in the Gateway) and Shared Amongst a Number of Users. This presents significant cost savings when multiple users exist. If no Gateway existed you would need to pay for a vocoder on every operator position. Networks can easily be added to and expanded when Radio over IP gateways are used. The IP gateways will also operate with various levels of console from Omnitronics. An organization can start with a simple desk mounted console, upgrade to RediTALK for more dispatch functionality, then move to a fully featured DX-Altus system for dedicated demanding dispatch operations. No changes are required to the DRG200i and additional units can be added as the organization grows. Many IT departments require particular network configurations in order to utilize the wider IT environment and often the networking choices for a base station or node controller are limited. Radio side protocols are usually SIP based and can be problematic to implement for many organizations. By providing a translation of communications between the radio side protocol and the operator/console, protocols and mechanisms that are Internet friendly and designed to work through routers can be used at the operators side. This makes it easier to integrate the radio into IT infrastructures. Radio side protocols are designed to work over stable networks with good bandwidth. However, it’s not uncommon for dispatch consoles to be remotely located in areas with limited/poor IP access. RoIP Gateways overcome this problem by using highly robust and adaptable console-side protocols over these links, negating the need to run the (less flexible) radio-side protocols. The protocol can deal with jitter and packet loss and can be configured to suit the limitations of the link. Single points of failure are also eliminated where multiple gateways are used: failure of one device will not result in total failure of communications. Separating the radio IP communications from the console IP network, creates a natural firewall between the consoles and the radio system. This prevents unauthorized access to the radio IP network and significantly reduces the threat from cyber attacks and hacking. Furthermore, communications between the consoles and the radio system can easily be encrypted, regardless and independent of radio IP protocols and of actual radio communications. A mixture of radio types (Both Analog and Digital) can interconnect on the one network. This helps support migration or connectivity to networks where analog is still required in some environments. Furthermore, within an open-standard there may be some additional features that are not tested for interoperability such as Location Services. By adding a compatible digital radio gateway to the equations, you can not only interconnect different radio manufacturers within a protocol but you can also interconnect across protocols. Changes in proprietary consoles such as loading time critical and proprietary functions are more easily managed and confined to the Gateway, meaning the GUI does not need to be upgraded. This significantly reduces cost and upgrade time when multiple users exist.